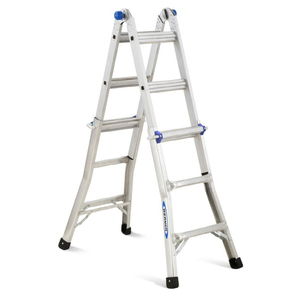 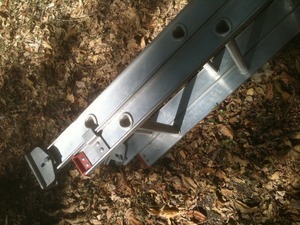 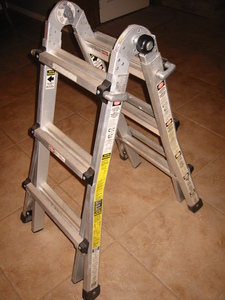 Aluminum 2 step ladder with a plastic top step. 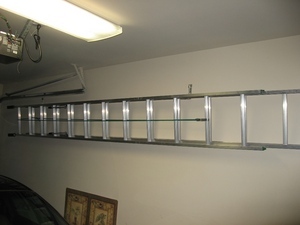 Great for painting, especially in rooms with 8' ceilings. 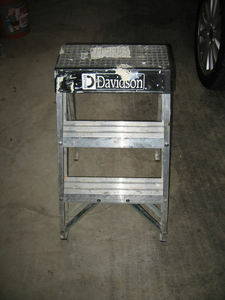 Good condition, some paint and nicks on it as it is definitely used.